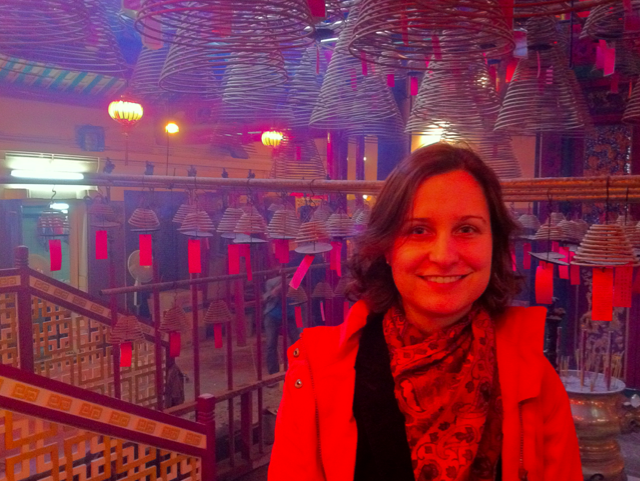 I’ve noticed these incense spirals alllthrough Asia, not just in Hong Kong. They are only one type of incense burning in temples, as there are many more. The most common are incense sticks, but the spirals are very nice to look at. An incense spiral is made entirely of incense, without a bamboo core in the middle as seen with incense sticks. They are called incense spirals because they are shaped into a spiral instead of a straight stick shape. A spiral shape allows for a much larger piece of incense which burns longer while taking up little space. An incense stick can be made in any length, but the longer the stick, the greater the chance of breakage. This limits incense sticks to no more than three feet in length in general practice. Incense coils have been in use for a considerable length of time in the East thanks to their much longer burn times and compact footprint. For temples and monasteries which use a lot of incense, these coils are ideal. The coils can be suspended from the ceiling which allows more floor space to be freed up for worshippers. 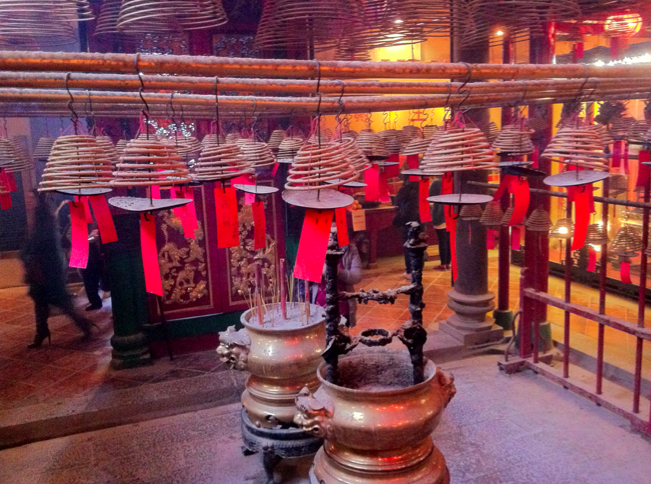 It is not uncommon to see a temple ceiling which is covered with large hanging incense coils. These coils can burn for days at a time. 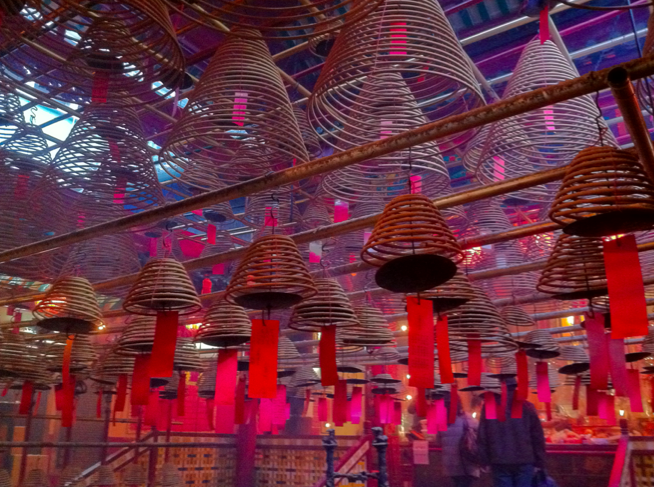 These pictures of the incense spirals were taken in the Man Mo Temple in Hong Kong – but as I said earlier, you can find these types of incense coils all across Asia.